Home / Food and Nutrition / Can Dogs Eat Mint Leaves? Is Peppermint Safe or Bad for Dogs? Can Dogs Eat Mint Leaves? Is Peppermint Safe or Bad for Dogs? Growing your favorite herbs is a key, as you can easily go to your backyard and pluck of a few of them. You can even grow different herbs in a pot in your kitchen. If you have dog, things get a bit trickier, as for it, you are its best friend and spending more time together is all it wants. If you are a fan of mint and somehow your dog ate a leaf of it, you don’t have to panic, as mint actually is pretty healthy for both human and dogs. Actually lots of people are wondering can dogs eat mint? Is peppermint safe for dogs? Can dogs eat peppermint and how much? Can dogs eat mints or mint candy for bad breath? Mentha spp. is the scientific name of the mint leaves. Mint is very famous and preferred by many, because of its pleasant and distinctive flavor and aroma. The mint family is represented by tenacious perennial herbs, grown in different zones- 3 to 10, in U.S. Department of Agriculture, depending on the species. The variety of mint species is huge, as many of them are not threat for our four legged buddies, but you should be aware that there are also types that can be harmful for them. It is important for you to know which are safe, and which are bad. Mentha arvensis or known by many as Wild mint is a typical perennial herb that can be found growing in zones 4 to 9 in USDA. This is one of the most common species grown, along with Spearmint (Mentha spicata) and Peppermint (Mentha x piperita), as they are used to flavor our food. Is mint (leaves) safe for dogs? The Continental Kennel Club came with an official statement that says mint species such as peppermint, spearmint and wild mint are not poisonous for the dogs. The only type of mint, part from the Mentha family that is recorded to have harmful effect over the dogs is Mentha pulegium or the so called English pennyroyal. California Invasive Plant Council claims that this plant is moderately invasive, although it is grown in zones 5 through 9 in USDA. The toxicity of the plant comes from its chemical pulegone content, which can also bring damage to people. Research made by the University of California, Davis, found that the effect of the plant can occur in organ failure, even liver damage, if the amount of the plant intake is more than the recommended one. Outcomes you should be prepared of, if your dog gets an English pennyroyal plant are weakness, puking, even diarrhea. You need to react immediately, as you take the dog to the vet, so that you can reduce the vomiting and provide a special care. This is the only type of mint you should be worried about, as the others are completely safe. Fresh leaves of spearmint, peppermint or wild mint can have beneficial effects over your dog’s digestion and breath. If you go to the market, you can easily spot that there are plenty of dog treats that contain those leaves. Like every other plant, you need to be precise with the amount of leaves you are going to give it, as gastrointestinal distress can occur, if you are not careful enough. Nepeta x faassenii or called by many Catmint is a member of the mint family, but not of the Mentha genus. The official statement given by the Seattle Times is that the plant is not toxic for cats and dogs, as USDA grows it in zones 3 through 8. Perilla frutescens or also known as perilla mint is also not a part of the Mentha genus, but the mint family. The plant is known for its popularity among the Asian cooking, as USDA grows it from zones 5 to 10. 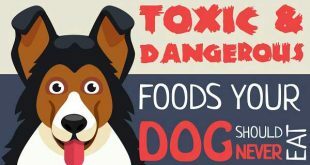 A warning given by the Colorado Water Garden Society states that the leaves can be toxic for livestock, as well as dogs, so it should be kept away, even though it is used a lot, because of its minty fresh flavor. But below there are lots of interesting facts! Thee beginning of the Mentha piperita or the so called Peppermint started when Mentha aquatica or watermint was mixed with Mentha spicata or spearmint. 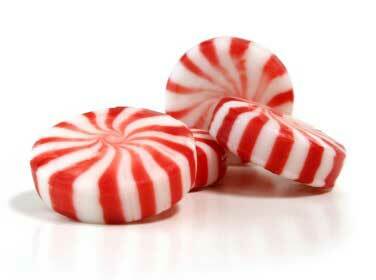 Peppermint is known for being a plant, sterile hybrid. Peppermint is known for its wide range of versatility, because it is used in the Beauty industry, as a seasoning, as well as an ingredient added in mouthwashes, toothpastes, soaps and many others. It is used also for medical purposes. A lot of people all around the world enjoy fresh or dried leaves of it in their teas. It origins come from Europe, as by know the plant is known by everyone all around the globe. Peppermint is also known for its ability to relief the body of some illnesses, such as irritable bowel syndrome, common cold, flatulence, nausea, indigestion, nerve and muscle pain, depression-related anxiety, diarrhea, as well as menstrual pains. As it was mentioned previously, spearmint and peppermint are safe for your dog, as they have health beneficial sides. Peppermint is known for its healing properties when it comes to sleeplessness, fever, heartburn, headache, congestion and motion sickness. A lot of herbalists recommend using its leaves as a natural method to put an end of those health problems. Some health authorities in Germany claim that mint can be used as a remedy for an illness that that includes symptoms like constipation, diarrhea, gas, bloating, cramping, and abdominal pain. The health problem is called irritable bowel syndrome. Mint is one great plant, that can bring a lot of changes in your life once you grow it in your garden. Known for its amazing aroma, it can be the perfect breath freshener, and if you give your dog a few leaves, it can be good for it as well. 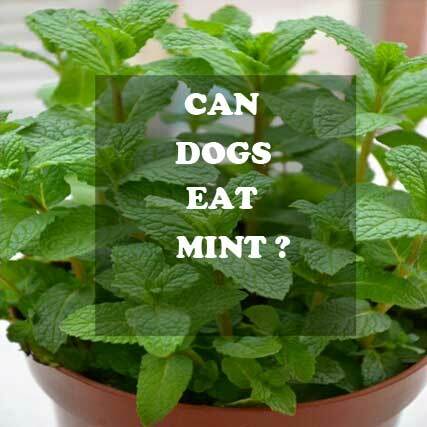 You can also put sprinkled leaves in its food, as mint will get rid of the bacteria living in your dog’s mouth. If you are on a road trip, and your dog gets travel sickness, a few of the leaves will relieve the upset stomach. Attention: Do not give a big amount of them, as more than the recommended (a few leaves) can lead to kidney or liver damage. If your dog eats leaves from the garden, be sure to take measurements, as you can call the vet for more information how to react if any side effects occur. Is Mint Bad for Dogs? As it was mentioned previously, many dog treats contain dried mint, which states that the plant is safe and it has a lot of health benefits. If you like to prepare your dog your own treats, you can use up to ¼ cup of dried mint in the recipe. Although dried mint is perfectly fine to use, do not try to add mint extract or substitute menthol, if you ran out of dried mint, as the concentration of those substances is bigger and it can lead to serious outcomes. For example, in its concentrated form, peppermint oil can be harmful, as it can irritate your dog’s skin and lead to acid reflux or heartburn. Can dogs eat mints or peppermint candy for bad breath? If you are wondering can dogs have mints just to make its breath better is not a good choice. It is refreshing and it is fighting with bad breath when it is taken by person, but it is not the same with our furry friends. Mints are definitely not the solution to the problem, as the effect won’t last for long and it is not recommended to do it. Every dog owner knows that some of the canines have unpleasant smelling breath, as this can cause disgust in some people. Dogs love to give their owners attention, but sometimes with the heavy breathing comes awful smelling breath. Mints are created to be used only by humans, so do not attempt to give your dog mints just because of bad breath. Mints and mint candies are known to be made with a lot of sugar, which means that they are not suitable for dogs. In some mints you can actually find Xylitol, which is a harmful ingredient. If your dog intakes it, there is a risk for its health, as this ingredient can lead to diabetes, and even long term kidney problems. Another risk is developing cavities, due to the high content of sugar. A lot of mints are made just like the candies. The temporary effect is not worth the risk of you dog developing serious health problems after some time. What causes the Bad Breath? The reasons can be plenty, as one of the most common one is a dental problem. Bad breath can be caused by infections like gingivitis or if the dog has cavities. To be sure if the problem is that, you can check its mouth for bleeding or signs of gum inflammation. All kind of mouth infections can be reason behind the bad breath of your dog. The best way to prevent unpleasant for you and your buddy outcomes is to react as soon as possible and make an appointment with your vet. The decision you make will affect your dog’s life later on. If your dog has a bad breath, this should be a cause for concern, as this can mean that your dog has problems with the digestive tract and it release odors through the mouth. Other more serious problems can be kidney disease or stomacha problems. Just because your dog has bad breath, this in no matter should mean that it has a hygiene problem. There is always a chance that it can be only the bad breath, without any serious issues behind it. It can be mostly caused by the food, which was left behind inside their mouth. This can cause a plaque, due to the bacteria, as this is a common seen case that also occurs with many people. The solution here is very simple, as all you need to do is to brush your dog’s teeth once in a while with special toothbrush and paste. Mints again won’t help in that situation. Bad breath can be only a sign of something bigger, that’s why being concern is okay, even though the reason of it can be just leftover food in the mouth. Always watch out what your dog is up to and how it reacts to certain things. If you notice something unusual in its behavior, you can always contact you vet for more information what to do next. You should be most cautions when it is feeding time, as if there is a medical issue, your dog won’t have an appetite. If your dog drink only water and makes certain sounds while he eats, gum problems can be the reason behind those painful noises. To make sure everything is in norm, you can open its mouth and see if you can see swelling or any bleeding. If you notice missing teeth, you should definitely contact your vet and make an appointment. Other ways to see if your dog has a health issue is to look for sensitivity around the mouth and drooling. Mints are not the right way to cover dental or health issue. You need to take a smart move, as mints can only lead to something bigger and more serious. Do not avoid those signs, as they can help you find the problem before it became fatal. Keep a good hygiene of your dog’s mouth, as you use special brush and toothpaste. This is one healthy way to keep your buddy’s breath fresh. Now, you can get all out its kisses, without being disturb of the bad smell. Can Dogs Eat Jicama? 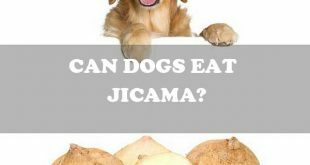 Is Jicama Good for Dogs? 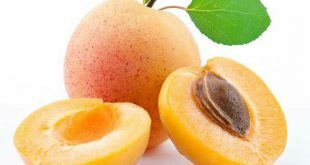 Can Dogs Eat Apricots? Are they Good or Bad for Dogs? Can Dogs Eat Figs? 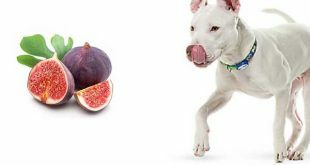 Are Figs Bad or Good for Dogs? Australian shepherd Price: How much does an Australian shepherd cost? Best Shampoo for Pitbulls? What you should know when looking for a Pitbull shampoo?